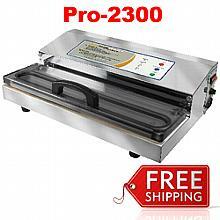 Pro Vacuum Sealers, replacement vacuum sealer bags & Rolls, and servicing parts for the Weston Brand Sealers. 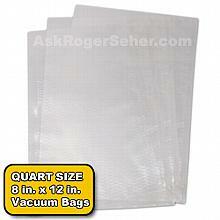 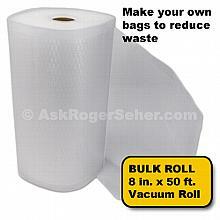 Vacuum Sealer Bags Bulk 100 ct.
6x10 in. 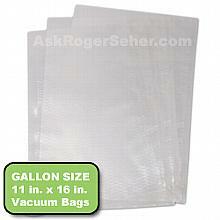 Vacuum Sealer Bags with Mesh Liner (100-pack) has been added successfully to your wishlist. 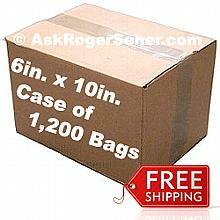 There are currently no reviews for 6x10 in. 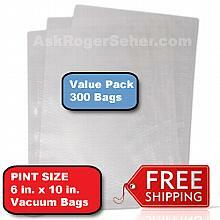 Vacuum Sealer Bags with Mesh Liner (100-pack), but you can be the first!